Between 20–25 November 2018, Cankarjev dom has been transformed into the largest ‘book stand,’ hosting the Slovenian Book Fair and all the great publishing houses,. Each November, Cankarjev dom – Cultural and Congress Centre Ljubljana, hosts the most prestigious Slovenian literary event, the Slovenian Book Fair (SBF). 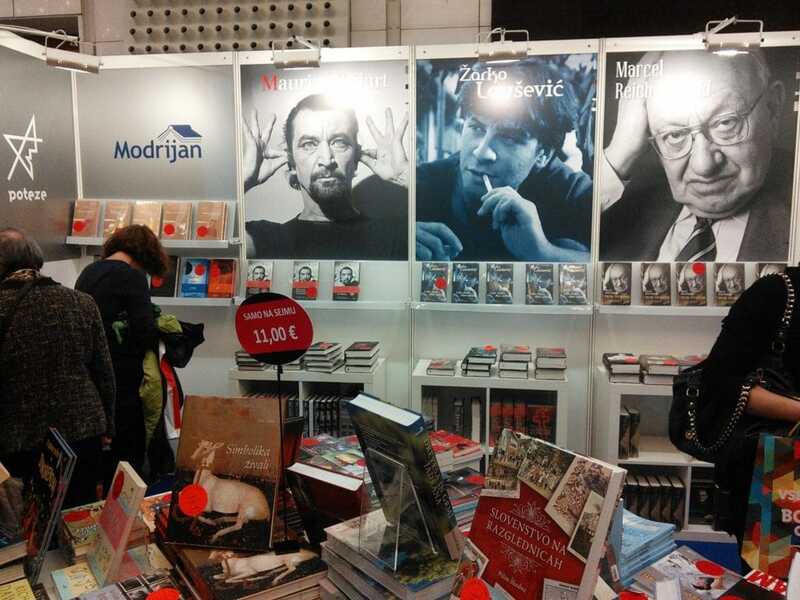 Taking place between 20-25 November, this year’s 34th Slovenian Book Fair includes a varied and wide book selection of more than 25,000 books, as well as various lectures, book signings, awards, consultations, roundtables, workshops, presentations, exhibitions, concerts, and stage performances. The fair will place emphasis on international literature, focusing this year on Hungarian literates. Their views will remove the veil of the beautiful but for the majority of Slovenes the mysterious, large neighbor on the eastern border. For the first time this year, the Book Fair includes Fotocona (Photo Zone) where visitors can find an answer to the question ‘Photobook, what is it?’. But Fotocona will also reveal answers to many more other questions regarding photography art in book form, while at the same time the visitors are every day able to meet and talk to Slovenian artists about how they create and work in the field of photobooks. Another interesting thing this year is the Fair’s slogan which invites visitors to buy books. The slogan simply says »Buy a Book«. There is no entrance fee to the fair this year, but the visitors are, instead, invited to buy a book and the buyers will also get their books wrapped for free for the upcoming holidays. Slovenes read 2.5 books a year, while Icelanders 8. The Slovenian Book Fair is traditional and the most established book festival in Slovenia tracing back its origins to 1972 when UNESCO with a slogan ‘Books for All’ declared the International Year of Books. From then on, merely a book exhibition with its aim to promote and sell newly released book editions has grown into the celebration of books, literacy, and reading. Thus, within the 46 years of its rich history, the fair has become the most important and biggest literature event in Slovenia annually hosting over 30,000 visitors. Since 1981, Cankarjev dom has served as its venue and since 1993 also as a co-organizer in conjunction with the Chamber of Book Publishing and Selling. This year, the six-day fair is a place where literature meets the real world, occupying the entire CD Congress exhibition capacity.